DigitalOcean is changing their API without notification of customers, including the author of this gem. In the past this has lead into several issues with users having problems or see unexpected behaviour. As the author of this gem I don't make any money and DigitalOcean is not paying me, either. My spare time is limited and I hate to debug other company's problems or sneak into forums to find information / hidden API resources. If you run into any problem, please contact Digital Ocean first. 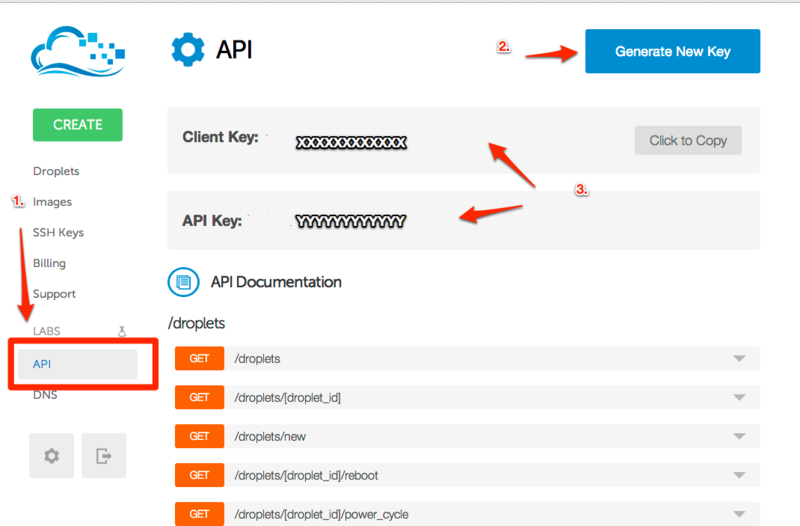 The best tested and most popular ruby gem to interact with the DigitalOcean API. DigitalOcean provides simple cloud hosting. Create and delete SSD-based virtual machines within seconds for a very affordable price. Go to https://www.digitalocean.com/ for more information. This gem is a simple ruby wrapper for the HTTP API of DigitalOcean using the great Faraday library. Want to manage your servers from your iPad or iPhone? Download our iOS application here! res.regions.first.name # => "New York 1"
see spec/api_spec.rb for more details and all implemented resources. 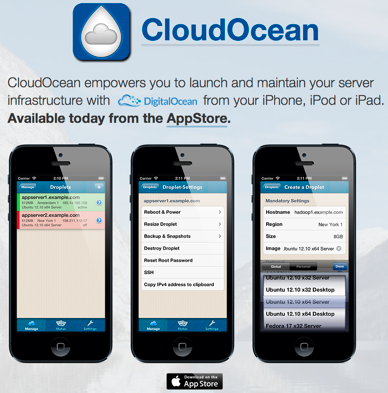 Ever wanted to control your DigitalOcean Droplets with your iPhone, iPad or iPod Touch? Generated on Sun Apr 21 20:32:26 2019 by yard 0.9.19 (ruby-2.5.1).